Weill Hall in the Green Music Center, Sonoma County. The hall is modeled on Tanglewood’s Ozawa Hall. 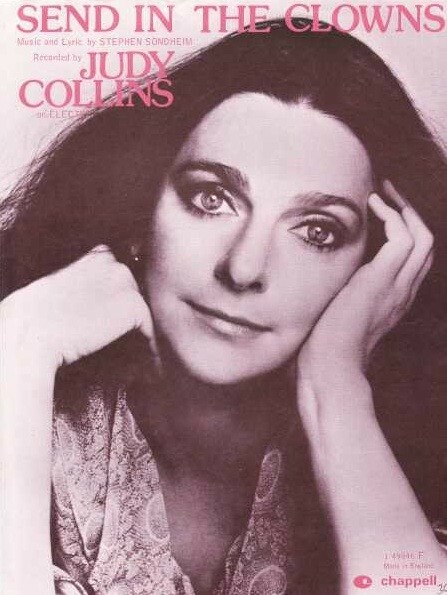 Judy Collins studied classical piano with Antonia Brico, who once heard her sing in concert and picked up her hands and said, "What you could have done with these!" Send in the Clowns was a smash hit for Collins. Broadway moguls were not appreciative. Judy Collins is a woman of many faces. For an evening of song in Sonoma County California, she revealed many of them. We first knew her as a politically-engaged folk singer, a facet she still inhabits after fifty years of performing. Creating from her heart and personal experience, she writes her own material. A sucker for belting out the best of Broadway, it is hard to forget that her's was the most successful recording of the Sondheim classic, "Send in the Clowns." This song has never been the same sicce Collins took it on. It captivated the audience of the Green Music Center. Even for an audience many of whom are too young to remember the first performances of "Both Sides Now" an evening with Judy Collins is a treat. Her Grammy-winning hits were only a part of the program she sang to honor the 4th of July in Sonoma County, California. From the time she first studied piano with conductor Antonia Brico in Colorado, to recent performances in the intimate Cafe Carlyle in the Carlyle Hotel on Manhattan's upper east side, Collins has drawn in listeners, even as she struggled with her own demons. Or perhaps because she did. In addition to the hit list she performed at the Green Music Center, Collins selected songs of George Gershwin, Cole Porter and John Denver. Her a capella rendition of Woodie Guthrie's "This Land is Your Land," inspired the crowd to take back our nation. Her choices also included Steve Goodman's "City of New Orleans" which Arlo Guthrie made famous and also Simon and Garnfunkle's "Bridge Over Troubled Water." The Collins' voice is thinner than it once was, but it is still clear as a bell. Not a quaver in the lovely lines. Lasar like as it targets heights in a song. She fills the air with a pure, vibrant tone. From the folk music boom in the early 1960s into an eclectic and varied repertoire today, her classic performance resonates and delights. Collins told stories about Mae West and Peter Yarrow of Peter, Paul and Mary. During her long career, she noted, she has known everyone, Chelsea Clinton was named after the song "Chelsea Morning," which Collins made famous. No hint of the future in Sonoma, however. 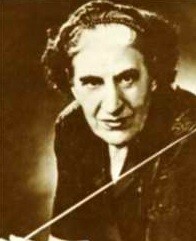 Her storytelling gifts were not extended to forecasting. The Santa Rosa Symphony opened the evening with an instrumental tribute to the US Armed Forces. A tradition more honored in the west of the US than the more pacific east, audience members of the various services stood when their anthem was played. "Anchors Aweigh" and 'From the Halls of Montezuma" were especially well represented. Like Tanglewood, picnickers filled the lawn to overflowing. The fireworks finale was splendid and a perfect tribute to the fifty-year span of Collns' career. Over the past few years, Collins has performed at Infinity Hall in Norfolk, Ct., Barrington Stage Company and the Mahaiwe Performing Arts Center in the Berkshires. Is the summer circuit particularly kind to artists who first performed when we were young?